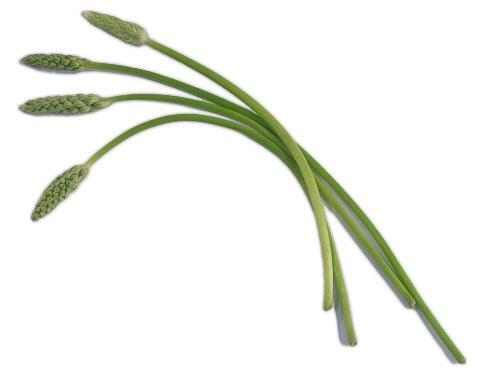 General Information: Wild Asparagus is an odd-looking plant of the Lily family with insignificant scale-like leaves. Its fern-like appearance is the result of the whorled filiform branchlets, which are not true leaves. Asparagus has been cultivated as a vegetable since antiquity and is native to Eurasia. It is still popular as a vegetable today. Wild asparagus is endemic to coastal areas of Western Europe, especially Belgium, Britain, the Channel Islands, France, Germany, Ireland, Spain and the Netherlands. Although it has been previously thought of as a sub-species (Asparagus officinalis ssp. prostratus) to garden asparagus (Asparagus officinalis ssp. officinalis), then recent research seems to suggest that it's a separate species altogether and has been granted a Latin name of its own - Asparagus prostratus. The 'prostratus' in the name implies that wild asparagus stems grow prostrately - the Dutch call the plant 'liggende asperge', for instance. The taste is definitely like a delicate version of green asparagus - very pleasant and light.